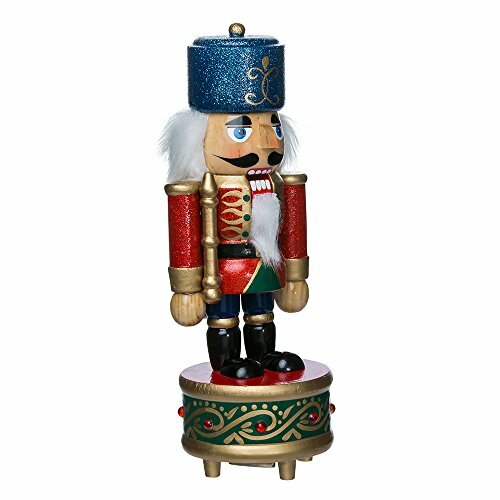 This 8.5-inch Wooden musical soldier nutcracker is a fun and festive addition to any holiday decor or nutcracker collection. its classic, festively-colored design stands atop a round base and when wound plays the classic "nutcracker suite" tune. Santa's Workshop Johnny Pirate Nutcracker, 14"